Home / Women in Focus / Career / Apple And Facebook Will Pay To Freeze Your Eggs: A Work Perk Or Blatant Manipulation? Facebook and Apple are plying their female employees with a tempting offer - $20,000 (around £12,000) towards freezing their eggs. The work perk sounds great at first but does it reveal a more manipulative intent? Is egg freezing the right way to approach the issue of female reproductivity and the interruption maternity has to their careers? Allow us to debate. When you think of work perks, what springs to mind? Free gym membership? Early finish on Friday? Well Apple have now joined Facebook in offering an almost unbelievable work perk - oocyte cryopreservation, otherwise known as egg freezing. The two highly successful companies are situated in Silicon Valley and represent the best in nouveau-riche office culture. It's no secret that health benefits are stellar at both these global companies. Apple even offers benefits to part-time retail employees, a sign that the company truly does value the health and happiness of its employees. Yet, this egg freezing coverage is a little suspect. It's hard to imagine leaving a job at the height of your career when there's so much achievement and possibility on the horizon. Knowing you have viable eggs stored in a freezer locker makes it easier for women to work, save money, and, most importantly, accomplish personal career goals before kids come along. Within the same vein, if a woman is the primary breadwinner in a 2-person household (and there's a likely chance of that happening if she's got a cushy tech job at Apple or Facebook), the pressures of providing for her partner and future family make working throughout her 20s and 30s a totally reasonable decision. We now know that IVF is also a great option for women with cancer. Chemotherapy and the medicine's attached to the treatment of certain cancers can deplete a woman's egg supply or render her infertile. Similarly, early menopause associated with ovarian failure can also inform a woman's decision to freeze her eggs. In these cases, IVF provides so much hope and happiness to women who thought having a family wasn't possible. Unfortunately, I just don't think those situations are why Apple and Facebook are offering this coverage. I find it maddening that the idea of motherhood is somehow a threat to a woman's career rather than a factor that strengthens her professional motivations and quality of work. When you're finished "Ohhing" and "Ahhing" at this benefit, a little discomfort starts to creep in. Apple and Facebook certainly aren't forcing women to freeze their eggs but the highly publicized announcement by Apple suggests that they'd love to see women cash in on this benefit. At first it appears like a nice consideration ("Wow! They love their employees so much that they can't let 'em go! "), but companies act in their own self-interest. It costs more to recruit, hire, and train a new employee so let's refrain from sprinkling this benefit with sugarcoated idealism. ​These companies want to squeeze the most talent, innovation, and work hours out of their female workforce before baby fever starts busting down their door. I gotta hand it to 'em, the retention and recruiting strategy is impressive. Many people suspect that it's a bold outcry to female engineers to come work for them and I'm sure it's going to work. However, the benefit implies that women will leave or want to leave their careers after having children, which is absurd. Has the idea of a working mother totally fallen out of favor? Quite frankly, how many men are asked if they're coming back to work when their wives get pregnant? How many men have to now consider their fertility and egg viability long before they even want to start a family? Personally, I find it maddening that the idea of motherhood is somehow a threat to a woman's career rather than a factor that strengthens her professional motivations and quality of work. ​According to Glassdoor, Apple offers 12 weeks of maternity and paternity leave. Facebook offers four months of paid leave, $4,000 in "baby cash" and subsidized daycare. They've made having a baby and returning to work easier on women than millions of other employees, so why the sudden need for egg freezing? Can't they highlight their excellent maternity leave options instead? My guess is that the companies don't want or particularly like that women go on leave to have babies. It's probably more costly to pay a woman who has a $100,000+ salary to go on maternity leave than it is to put $20K toward her freezing her eggs. And if that woman has a second child, the cost soars. ​As a woman, this benefit only reminds me that being a mother is not valued. Statistically mothers who return to work make less than their childless female employees. It's what Ann Crittenden dubbed the "mommy tax" in her book, The Price of Motherhood. That tax reveals the true perception of what employers think of mothers - potential liabilities who aren't worthy of promotion and pay raises. Women who are not worthy of investment. In the end, Facebook and Apple are setting healthy young women on a rocky, expensive path towards conception, and a potentially unnecessary one at that. The $20K Facebook and Apple provides just covers the cost of about two rounds of egg harvesting. There's also an annual fee for storing your eggs. Finally, IVF is not a perfect science. The "experimental" label was only removed two years ago. 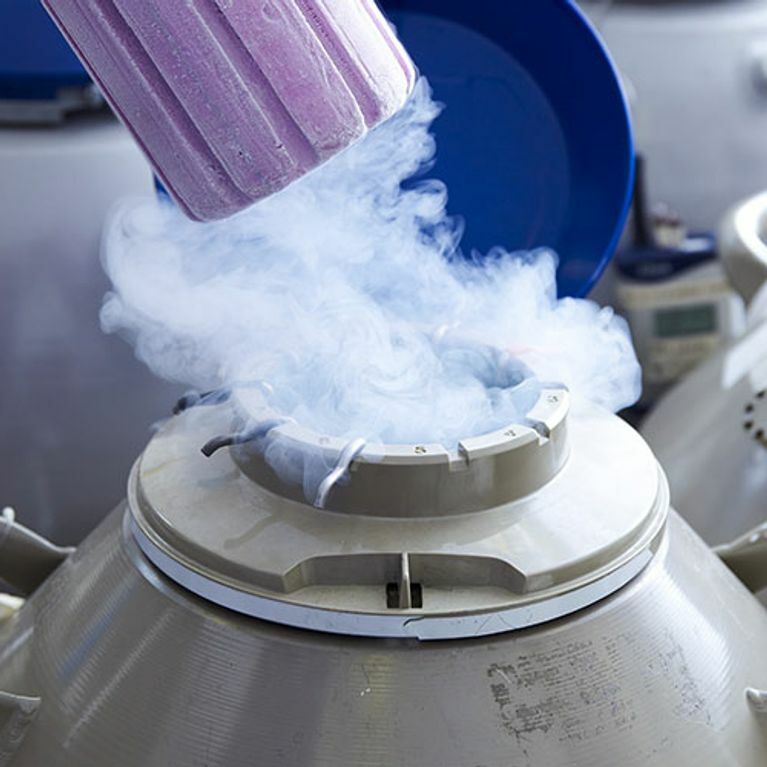 The longer women "put off" having a child through egg freezing puts her at risk for potential complications and the chances of a successful implantation drops significantly. It's a scary fact that these women who feel pressured by their employers to get pregnant later on might totally decrease their chances of it happening. In 2013, the American Society for Reproductive Medicine, pointed out that the media's attempt to portray egg freezing as an option for staying in your career longer is wrong and misinformed: "Marketing this technology for the purpose of deferring childbearing may give women false hope and encourage women to delay childbearing. Patients who wish to pursue this technology should be carefully counseled." Apple and Facebook, get yourselves counseled.